The ‘Embiran’ team is incisively found overwhelmed in its finest contentment as it feels blissful over its striding process. Especially, the producers P. Panchavarnam and V. Sumalatha are experiencing their seventh heaven moment – Thanks to the scintillating trailer endowed by the team. 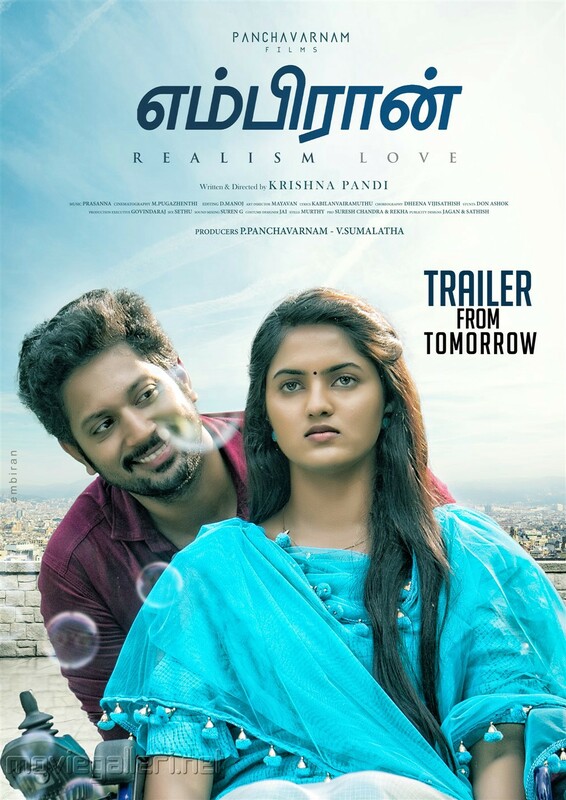 The filmmaker also credits his unconditional thanks to D Manoj (Editor), Prasan Bala (Music) and M. Pugazhendthi (Cinematography), who as team worked a lot to compose the visual presentation of Embiran trailer. Touted to be a Romantic-Thriller with suspense elements, the film has Rejith Menon, Radhika Preethi, B. Chandra Mouli, Kalyani Natrajan, Kishore Dev, Valliyappan and few more actors are a part of its star-cast. Krishna Pandi has written and directed this film, which will have its official announcement made on audio, trailer and theatrical release soon.